From the earliest times to present day, organic cotton reigned as the work horse of the plant fiber yarns. 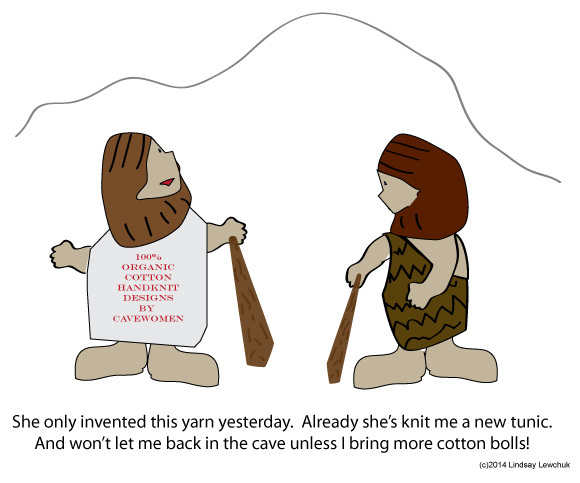 Using cotton for fabric dates as far back as the Mesolithic period (the Middle Stone Age). The earliest surviving example of cotton bolls and cloth were found in caves in Mexico and dated by scientists to be at least 7,000 years. [i] Since modern industrial technology hadn’t yet mucked around with cotton, you can be assured, it was organic they were using! Okay, so it’s been around FOREVER, but what is it? Organic cotton yarn is both good for you and for the environment! 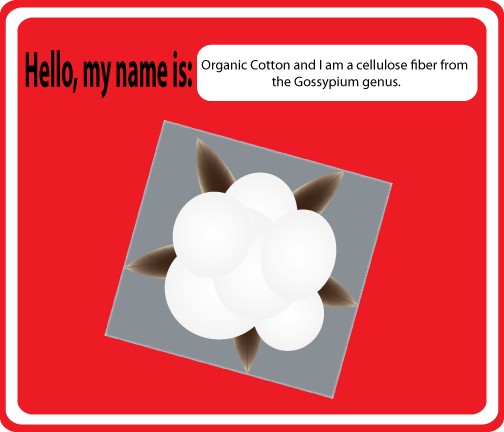 “Cotton growers who make the transition to biologically based growing practices expect not only to offer a healthier and cleaner product, but also to benefit the planet.”[iv] Natural (undyed) or dyed (preferably with low-impact or naturally sourced dyes) organic cotton yarn is a great fiber to use in knitted garments. It is the eco conscious choice and mainstay of plant fibers. With advances in spinning structures, it holds up equally to its non-organic counterpart. Soft to the touch, this comfy fiber transforms into beautiful knitted designs. Check out the Pinterest board for pattern ideas and yarn suggestions. Great, now why is it worth spending four times more to get organic cotton rather than regular cotton yarn? This really is a whole blog series in itself. But the long and short of it is what organic cotton lacks is what makes it the better choice. Your skin is like a sponge absorbing constantly and what regular cotton has in it is NOT what you want on your skin, whether knitting or wearing, even in residual amounts. “In 2008, global cotton production used almost 7% of all pesticides (including defoliants, herbicides, and insecticides), 5% of the world’s herbicides, and 16% of the world’s insecticides in terms of sales. …The US Environmental Protection Agency considers seven of the top 15 pesticides used on cotton in 2010 in the United States as ‘possible,’ ‘likely,’ ‘probable,’ or ‘known’ human carcinogens (acephate, 1, 3-dichloroproene, diuron, s-metolachlor, pendimethalin, tribufos, and trifluralin).”[v] Furthermore, “Aldicarb, cotton’s forth most-heavily used insecticide in the US and considered ‘extremely hazardous’ by the World Health Organization has been found in the groundwater of 16 states.”[vi] “Better” living through chemistry – I think not! Besides the lack of harmful chemicals, organic cotton is worthy of your knits because of its durability, structure, and smoothness. Knitting with this eco fiber not only supports healthy lifestyles but also ecological viability. Additionally, many of the companies which provide organic cotton yarn do so as one aspect of an overall commitment to the health of the environment, sustainability, and fair trade. Be sure to check back in for part 2 of the organic cotton fiber focus: knitter’s guide – working with organic cotton. Or join the mailing list to have the blog arrive directly in your inbox!